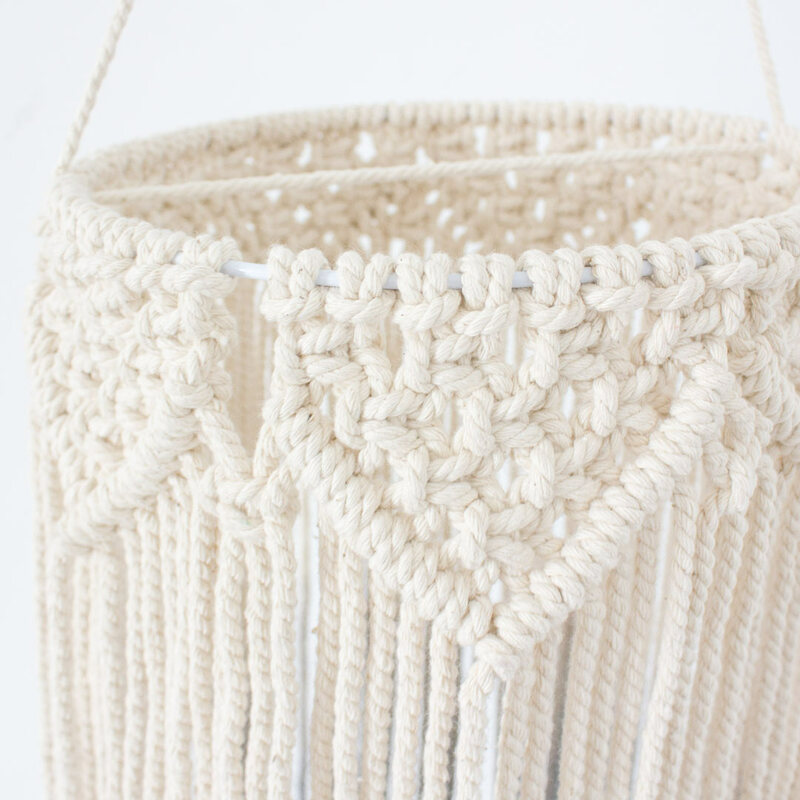 They say trends make a comeback and macrame is the comeback we can get behind! 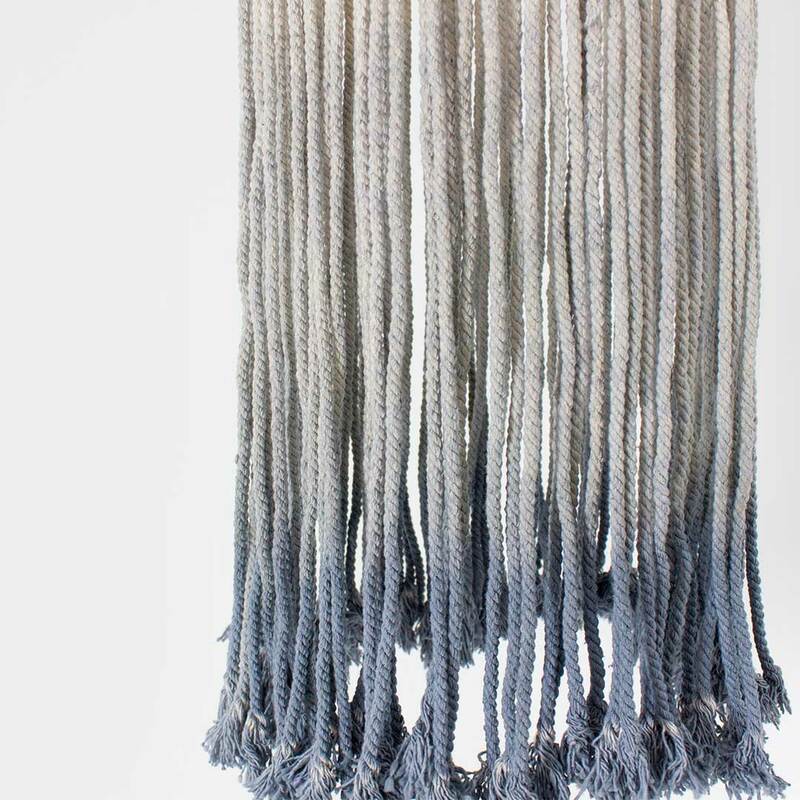 Add a knotted piece of hanging decor like the Macrame Mobile Lightshade – Grey by Bunni to a room to instantly create a bohemian feel. 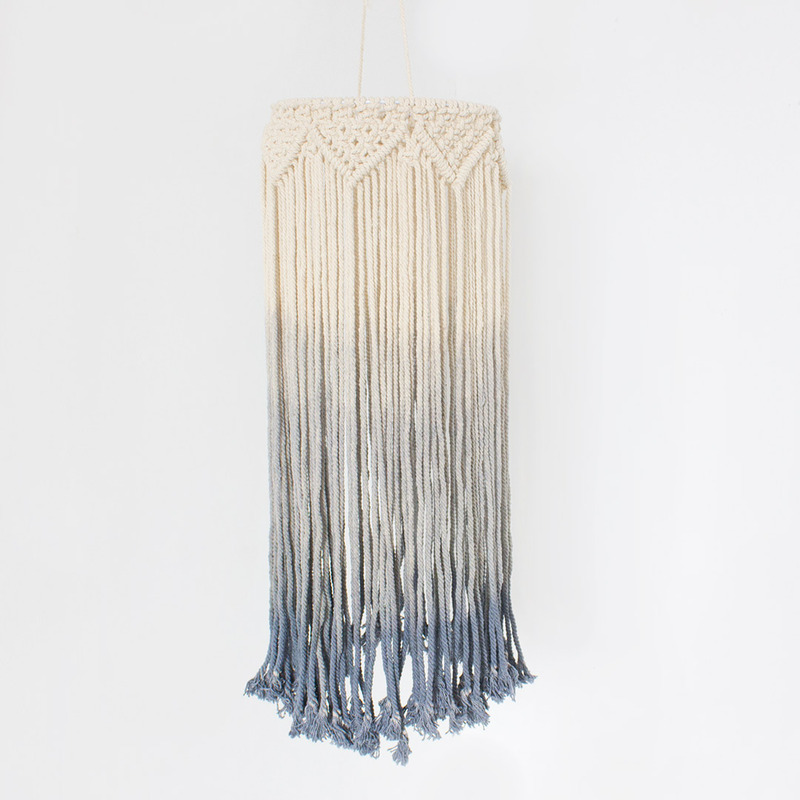 This macrame lightshade can be used as a lampshade or as a unique mobile above your little one’s cot.